The restored Shrine of Our Lady of Caversham, a medieval shrine of ancient foundation which was venerated by Queen Catherine of Aragon among many others, was beautifully constructed in the 1950s on the side of the church of Our Lady and St Anne; the shrine image was crowned by papal mandate in 1996. 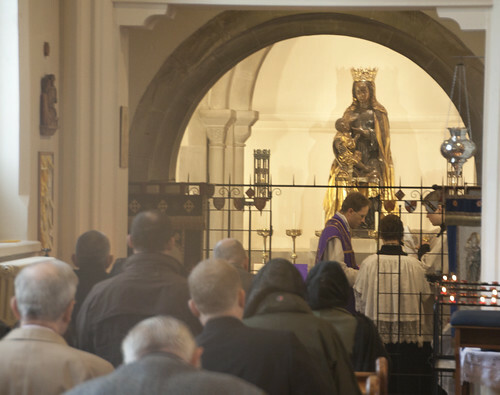 Anyone living in area should make Our Lady of Caversham a regular place to visit, and there is no better way of doing it than with the Latin Mass Society's pilgrimage. 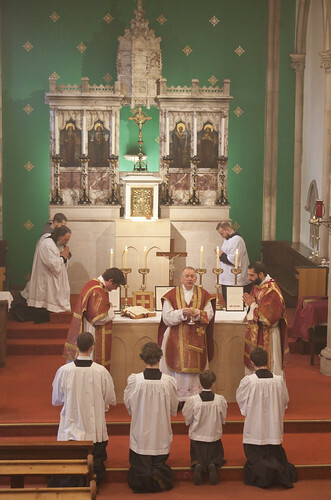 The Ember Saturday of Lent, with its glorious chants and extra readings, is the ideal liturgical and spiritual preparation for Holy Week. More about the shrine and the pilgrimage here.